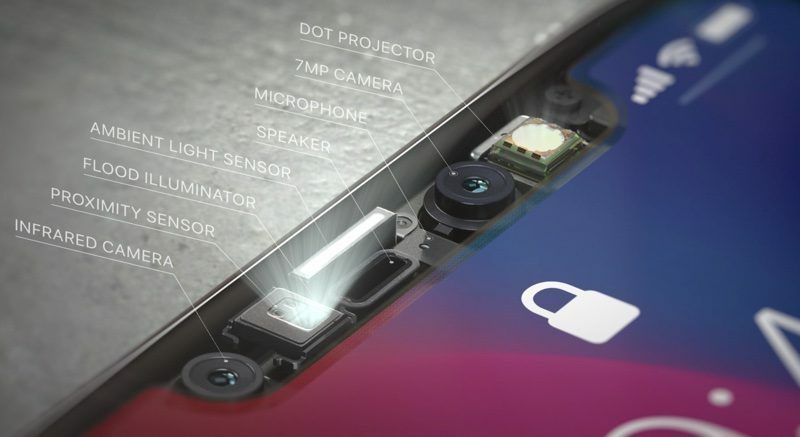 Apple goes into great detail about the security of the Face ID facial recognition system built into the iPhone X in a security white paper and a support document, but relatively little has been said about the access that developers have to facial data captured by the TrueDepth camera, which has led privacy advocates and developers to express concerns about what apps can glean about you from your face. A new piece from The Washington Post that includes commentary from both privacy experts and Apple itself explores the data third-party apps can access, echoing concerns previously brought up earlier this month. Using the TrueDepth camera, your app can detect the position, topology, and expression of the user's face, all with high accuracy and in real time, making it easy to apply live selfie effects or use facial expressions to drive a 3D character. Apps are able to see a full 3D face map along with a "live read-out" of 52 micro-movements in the eyelids, mouth, and other features. 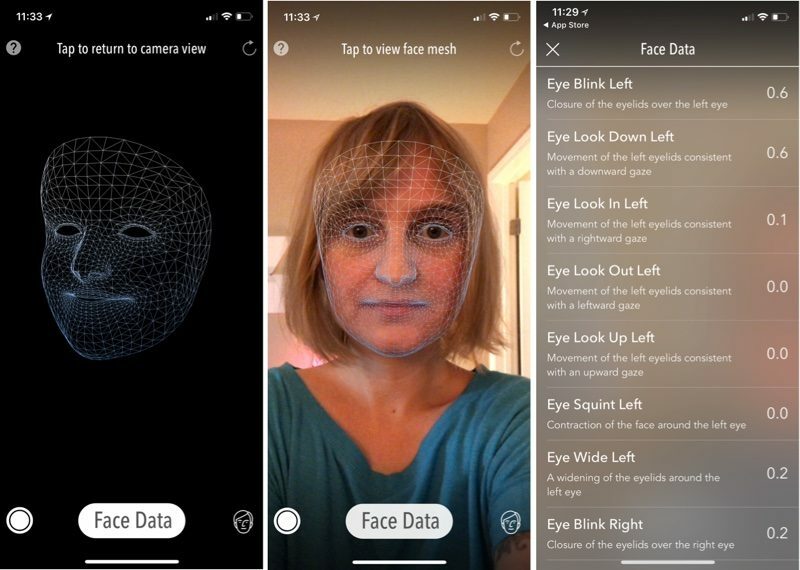 MeasureKit, a free app developed by Rinat Khanov, has a face mesh tool built in that displays the facial data the TrueDepth camera can capture along with a list of the facial expressions it tracks. "We take privacy and security very seriously," Apple spokesman Tom Neumayr said. "This commitment is reflected in the strong protections we have built around Face ID data--protecting it with the Secure Enclave in iPhone X--as well as many other technical safeguards we have built into iOS." As Fowler points out, apps that are using the TrueDepth camera are not currently providing enough information to customers. The popup to access the TrueDepth camera is the same generic popup that is required for the standard front and rear-facing cameras, and it does not mention that additional data is being collected. Whether Apple will put stricter policies in place remains to be seen, as does how this kind of facial recognition data will be used in the future, but customers should be made aware of what's being provided to app developers. For those concerned, it's worth downloading the MeasureKit app or a similar app to see what's potentially being collected when an app accesses the camera on your iPhone X. In the meanwhile, silently, Facebook and Google store informations about billions of users down to the disposition of their pubic hair. As the de facto industry leader, it will be interesting to see how Apple deals with these questions. Insurance and marketing companies love learning more about how we behave and what we look like (color of skin, attractiveness, propensity to smile, state of teeth etc). Unfortunately, the consequences likely won't be good for the large majority of people out there who will be profiled and sorted into risk classes. As soon as they require you to look at the phone to continue playing an ad.... my iPhone X goes on eBay. What a bunch of legal double talk. I'm sure when Equifax was hacked they also said they took security seriously while over 100 million people's sensitive financial information was released into the dark web. Bottom line, more and more companies today have our personal data and when they are hacked, they just say we are sorry, but we did take security seriously. I'm sure in 5 years we'll be reading some report that X company got special API access to FaceID APIs directly from Apple and X company stored user face scans on their servers. Just like how Apple gave special API access to Uber for the Apple Watch, which allowed Uber to infringe upon user privacy. Don't like it buy another phone. I am tired of privacy advocates (otherwise known as tech averse idiots) dictating what I can and cannot do. What exactly have these so-called ‘idiots’ stopped you doing exactly? I don’t think anyone really wants to stop letting you trade your privacy to people/apps/companies if you want to, this is about consent and choice. If an app wants to gather and keep data from a user, the user should be aware of that, the reasons why, and be able to make an informed choice as to whether they want to go ahead or not. It’s about enabling choice for users, not stopping you doing anything. And it’s about users being able to decide where they want the balance to be drawn between privacy and certain kinds of functionality that require giving up some of that privacy. It isn’t a black and white ‘total privacy vs zero privacy’ zero-sum game. OMG people, please lighten up. FaceID has got to be the best feature I've seen in a phone yet. Being able to lift it and it unlocks w/o intervention is frickin' amazing IMO. All my apps that used to use TouchID now are using the FaceID and it's, again, frickin' amazing! I am so pleased with this phone. Hands down it's the best phone I have ever owned. Period. The strongest privacy advocates I know are also technically brilliant. When you know the tech, you have a clearer view of the risks that accompany the benefits-- and also know that there are often ways to achieve the same goals while preserving privacy. Hundreds of apps go through approval each day, some will sneak through.